This is another of the photos I took of West Kennet Long Barrow at the Winter Solstice, you can see Silbury Hill in the distance. 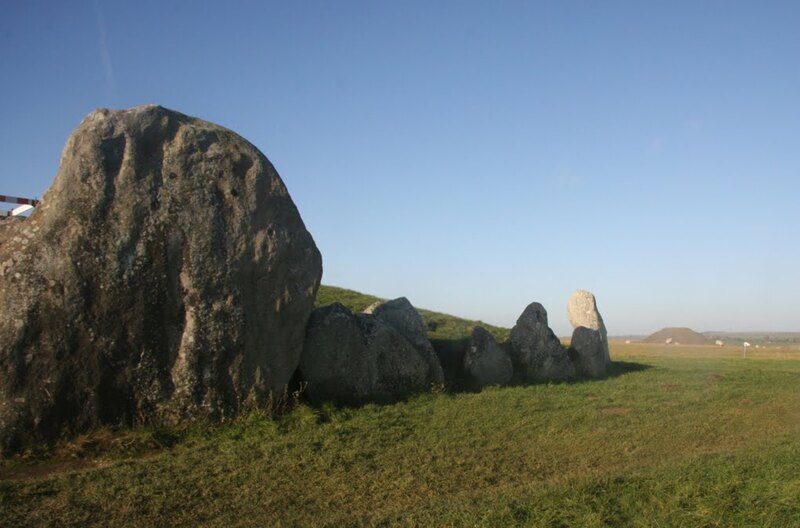 West Kennet Long Barrow is one of the largest and most impressive Neolithic chambered tombs in England. It was built around 3650BC and was used as a burial chamber for 50 people. The long barrow forms part of the complex of ancient ritual sites at Avebury, in Wiltshire. It is well worth a visit.